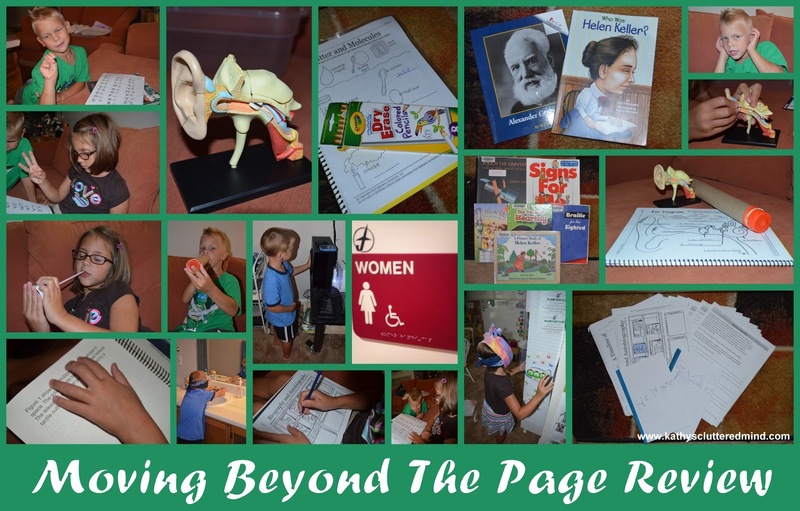 Moving Beyond the Page is a Texas based homeschool company. Because of their mix of professional qualifications and real-life homeschool experience Moving Beyond the Page is unique among homeschool curriculums. There are 4 amazing authors and you can read more about them here. Each of these ladies is highly qualified in the field of education and passionate about educating children at home. They have all experienced the joy and struggles that come with homeschooling. I am in LOVE with Moving Beyond the Page. I had never heard of this amazing company until 6 weeks ago. If you read my blog then you know I don't really use a particular curriculum, instead we do unit studies based on the children's interest. When the kids choose their topics we head to the library, load up on books and then I search the internet for resources (worksheets, crafts, videos, etc). Well Moving Beyond the Page fits very nicely into the Unit Study and Charlotte Mason homeschool methods and does ALL the work for you. If you're a faithful reader then you also know I don't purchase curriculum very often (okay hardly ever) but if I did (and probably will) I would GLADLY spend my curriculum dollars on Moving Beyond the Page. It has been a fabulous program for my tactile, creative, book loving children. Yes I just admitted I will probably be purchasing Moving Beyond the Page units this year! There is so much I love about Moving Beyond the Page, that I don't even know where to begin. My number one reason though is that it is a literature based curriculum!!!! My number two reason is that Moving Beyond the Page encourages real-world application using project-based instructions. We are all about hands on in this house! Ever since we started homeschooling I have always been a HUGE advocate of learning from literature. Moving Beyond the Page is a complete literature-based homeschool curriculum that will help your children grow in their love of learning. You can purchase the curriculum as a full package or purchase individual units to use as a supplement with your current curriculum. There were many units we were able to choose from for this review. I finally decided on the, "Who Was Helen Keller" unit which we also used concurrently with the "Sound" unit. Helen Keller is one of my favorite women in history. I have always been fascinated with everything she has accomplished and overcome throughout her life. There are so many wonderful lessons that children can learn from studying Helen Keller. These two units are for children ages 7-9 and I used them with my 6 and 7 year old. As mentioned above, Moving Beyond the Page can be purchased as a full curriculum or purchased individually and used as a supplement. There are Language Arts (vocabulary, grammar, writing, spelling, story elements and figurative language), Science and Social Studies (geography, history, government and culture) concepts for children ages 4-14 (ages 4-5 and 14 are coming soon). All children will benefit from Moving Beyond the Page, but especially children who are creative, gifted and love a hands on approach. It is a great for curriculum for all learning styles and fabulous for boosting critical and creative thinking skills. And there are tons of challenging and engaging activities, projects and worksheets included. Moving Beyond the Page also meets State and National Standards at each level. However they also strive to enable critical thinking, creativity and higher level thinking making them go above and beyond the Standards. I really love ALL the flexible options for using and purchasing Moving Beyond the Page. There are two options when purchasing the curriculum. You can purchase the entire curriculum and choose between either the hard copy student curriculum workbook or online student curriculum workbooks. The entire package includes EVERYTHING you need. However if you need a more budget friendly option you can choose to eliminate items from the package such as books and manipulatives (which you can buy used, borrow from the library or borrow from a friend). The books are a MUST for the curriculum (so if you will need to borrow or purchase them)! Each year children explore four concepts that each contain approximately 9 weeks of instruction. Within each concept, they will work through three unit studies. Each unit contains 2-3 weeks of daily lessons. Every unit ends with a final project where your child will finalize the knowledge and skills they have learned in the unit study (like making as scrapbook, etc). You can also choose between the hard copy student workbook or the online student workbook. The online student workbook saves you some money. With the online version you will need to print the various activity pages and reading and questions pages. The online license gives you one use access of the curriculum. Each unit is available to you for 3 months before it expires (the timer begins when you activate it). If you have another child you wish to utilize the program with at a later time Moving Beyond the Page will renew your license for 1/2 price. There customer service is fantastic and I even heard that they are very gracious if you need extensions due to extenuating circumstances. The online version worked great on my Android tablet as well (which is another huge plus). Personally the hard copy is the way to go if you have multiple children (its only a few dollars more) and you can use a handy dandy page protector and wipe off colored pencil to reuse the worksheets (see picts below). Need an even more budget friendly option? You can purchase individual curriculum units, books and manipulatives to create am eclectic learning experience for you children. This is how I will continue to utilize Moving Beyond the Page. Simply choose the unit studies that your child is most interested in. There are two great resources for parents the Forum and IdeaShare. The online forum is where you can connect with other homeschooling families and to ask questions in a supportive setting. 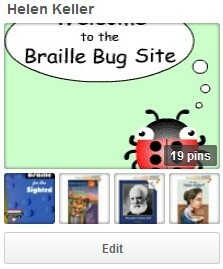 IdeaShare is a place to find and share ideas for teaching and supplementing specific lessons. I used and shared ideas in IdeaShare a few times. On the Moving Beyond the Page FAQs section there are recommended typical day outlines all laid out for you (very helpful if you are using the comprehensive curriculum). We have been using Moving Beyond the Page as a supplement so we have been utilizing the literature and science lessons 2-3 times a week. There were a couple of days where we did the literature and science lesson in one day, however it went more smoothly when I alternated our days. So we would do a science lesson one day, then the literature lesson, then a science lesson. This worked great for us and we generally spent about 1 hour on each lesson. Because this is a unit study curriculum you can always add and supplement additional resources (books, videos, activities). Which I would do on the off days. See below for some of the supplements I added. We just finished our final lessons and are getting ready to move onto the final projects. I will note that neither of my kids met the prerequisites (listed below) for the 7-9 age level however we were able to easily improvise (see more details below). I highly suggest visiting the Choosing the Right Level page to help you choose the grade level right for your child. We read the books together as read alouds and then we would go over the discussion questions. The children would take turns answering the comprehension questions and I would record their answers. They loved all the activities and worksheet pages. Many of these they could easily do on their own or with very little assistance. There was a lot of handwriting involved on some of the activity sheets so I had to do most of that for them. We skipped the spelling tests for both this unit and the Sound unit. Here are a few of the things we learned about: Helen Kellers life, braille, Alexander Graham Bell, sign language, literature types and more. We enjoyed fun activities like making a timeline of Helen Kellers life, decoding sign language, making poems, map labeling and more. We even took our unit on the road with us and explored the braille signs and other handicap aids in local establishments. In this unit children will explore how the sense of sound allows us to better understand our environment. They will explore the parts of the ear and how they work together to help them hear and interpret sound. They will also explore and create wind, stringed, and percussion instruments. Science is our families strongest area so many of the activities and worksheet pages they could do on their own. They loved assembling the 4D ear model and all of the science and craft projects. We learned about the ear, how sounds travels, music, voice and instruments, pitch and frequency and more. We had lots of fun with the many hands on activities. We made a model ear drum, listened to sounds outside with our eyes shut, learned what it would be like to walk around our home being blind and deaf, learned about matter and molecules, made instruments and more. Many of the additional books, videos and activities we did you can find on our Helen Keller YouTube channel and Helen Keller Pinterest Board. Moving Beyond the Page has lots of samples of their products on their website. Be sure to check them out to see how amazing this curriculum is. We had lots of fun learning about Helen Keller. We liked the science projects they were lots of fun. Building an ear was amazing. We learned sign language and braille. The books were really good. Mommy says we can do more learning with this program next year. The Full Year Curriculum Package for age 7-9 is $676.63 for the hard copy curriculum. The online curriculum version is $587.96. Both come with manipulatives and literature. Remember additional options are available like getting curriculum only package (borrowing or buying literature and manipulatives) and purchasing individual units one at a time. Click here for more Moving Beyond The Page reviews (many different products were reviewed) from the The Schoolhouse Review Crew.